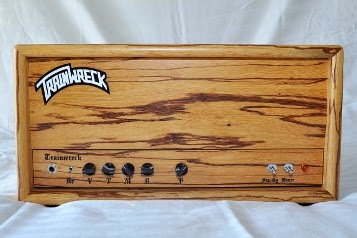 Did you know that new Trainwreck amps are being produced? Trainwrecks sound great. But so do a lot of other boutique amps. Heck, there are some non-boutique amps that sound great too. I love my Celtic Edana. Together with my Lil Dawg Mutt going through Celestion Alnico Blue 12" speakers they sound as good as the best amp I've ever played, the Blankenship Fatboy Supreme with Sour Cream.